DESPITE a dip in the market, sales of Sport Utility Vehicles (aka SUVs) defied the overall market trend last month with three of the four SUV segments recording gains during May compared with the same month last year. Small, medium and upper large segment SUVs gained ground in May despite a 2.1 per cent overall market decline for the month, according to the latest data released today by the motor industry’s official statistical service VFACTS. Industry sales last month totalled 100,754, down slightly from the record-setting 102,901 sales of May 2017. In year-to-date sales the industry continued its growth, showing a 2.1 per cent gain for the first five months of 2018 compared with the same period last year. SUV sales in May increased by 8.4 per cent over the same month last year. Light commercials dipped by 0.5 per cent and passenger cars declined 15.6 per cent, with micro-cars the only segment to show growth in that part of the market. The May highlights from various areas of the market were four-wheel-drive pick-ups and cab-chassis (a 3.0 per cent gain over May last year and 15,004 sales); small SUVs (up 36.1 per cent with 12,053 sales) and medium SUVs (up 5.1 per cent with 18,000 sales). Four states and territories posted sales increases during May. Tasmania (up 7.6%) had the greatest gain, followed by the ACT (+4.4%), Western Australia (+4.0%) and Queensland (+2.3%). SUV sales showed solid growth across all four purchaser categories (private, business, government and rental fleets) during May, and business sales of light commercials rose by 5.3 per cent. The Chief Executive of the Federal Chamber of Automotive Industries, Tony Weber, said the SUV category gains revealed how brands were responding to buyer demand. “The market is continuing to hold up well year to date, with the past two months of falls offset by the gains recorded in the first quarter,” Mr Weber said. The Toyota Hilux remained Australia’s top-selling vehicle in May, posting 4,385 sales. In second place was the Ford Ranger with 3,674, followed by the Toyota Corolla (3,120), the Hyundai i30 (2,779) and the Mazda3 (2,586). 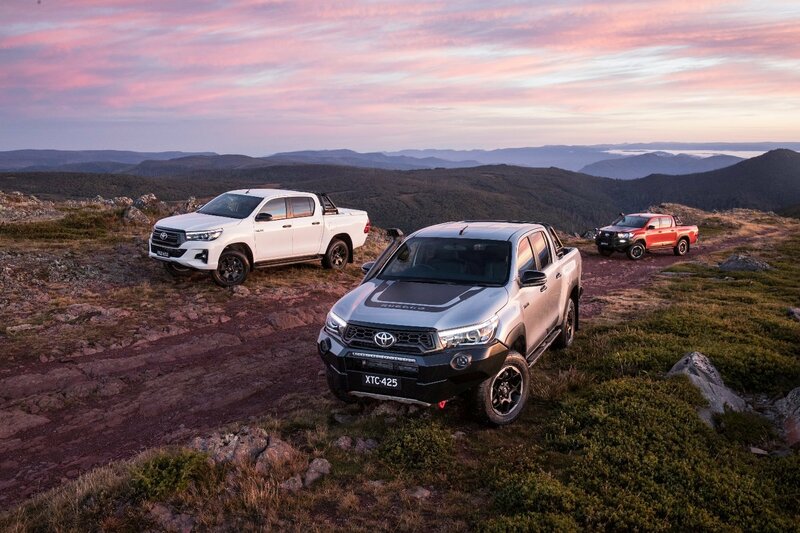 Toyota remained the market leader with a 19.4 per cent share of the May market, followed by Mazda with 9.3 per cent, Hyundai (8.7%), Mitsubishi (6.9%) and Ford (5.7%).